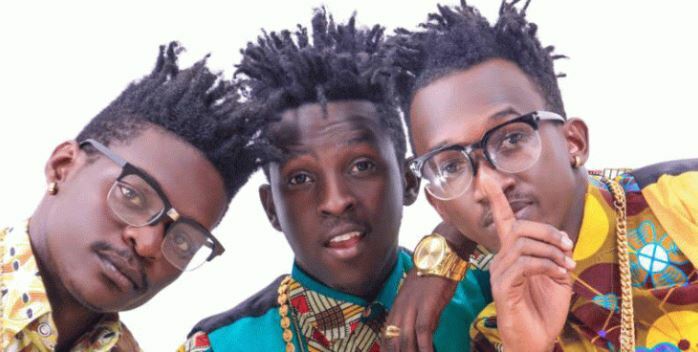 KAMPALA– Andy Events Music Label which was managing B2C trio comprised of Julio, Mr Lee and Bobby lash has finally unveiled new artists. The artists unveiled are Brian Kaganda alias Brian Weiyz, Emmanuel Lodu aka Vaiva and Chris Banina. The Music Label founded by Andrew Mugerwa fell out with the artists a few months ago after working with them for about 5 years in the music industry with great songs like ‘Gutamiza’ with the fallen crooner Mowzey radio and many others. During the unveiling at Club Amnesia, Mugerwa said that contracts are finished and now looking forward to promoting young talent.